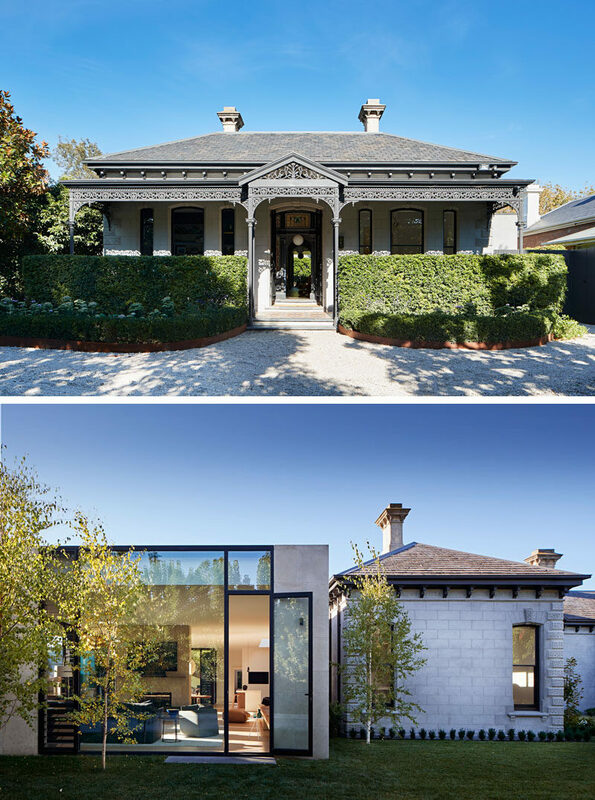 Robson Rak Architecture & Interiors have designed the restoration of a circa 1888 grand Victorian residence in Melbourne, Australia, and added a new wing to the house that’s been created in an LA Pavilion style. 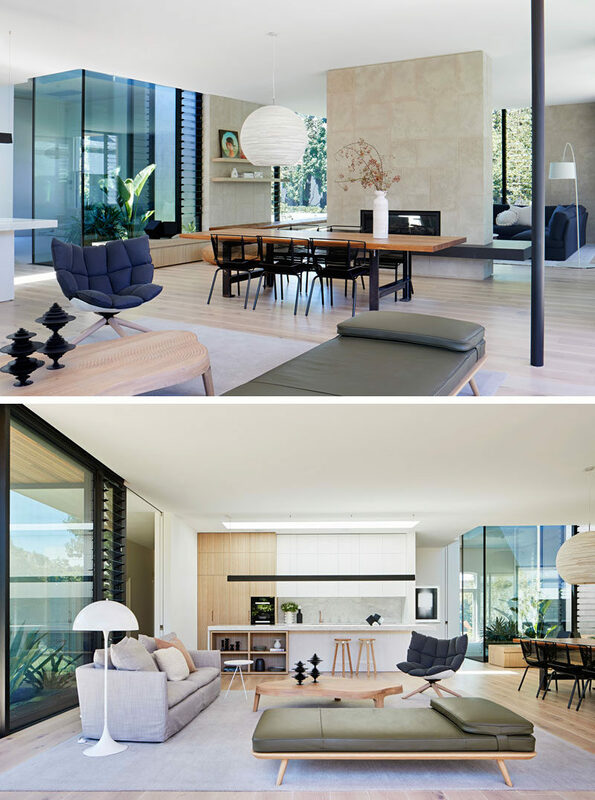 The house has been designed for a family who look love to entertain large numbers of family and friends. The new pavilion extension is separated from the existing heritage fabric by way of courtyard spaces that bring the lush greenery into every room. Large windows fill the bright and welcoming home with natural light, with a fireplace separating a sitting room from the dining area and additional living room, and kitchen. 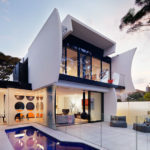 Large overhangs provide the interior spaces with shade, assisting in keeping the house cool, while large sliding glass doors open the social areas to the swimming pool, and a second social area in the form of a pool cabana with a fireplace and lounge. Back inside, and here’s a glimpse of one of the updated bathrooms. 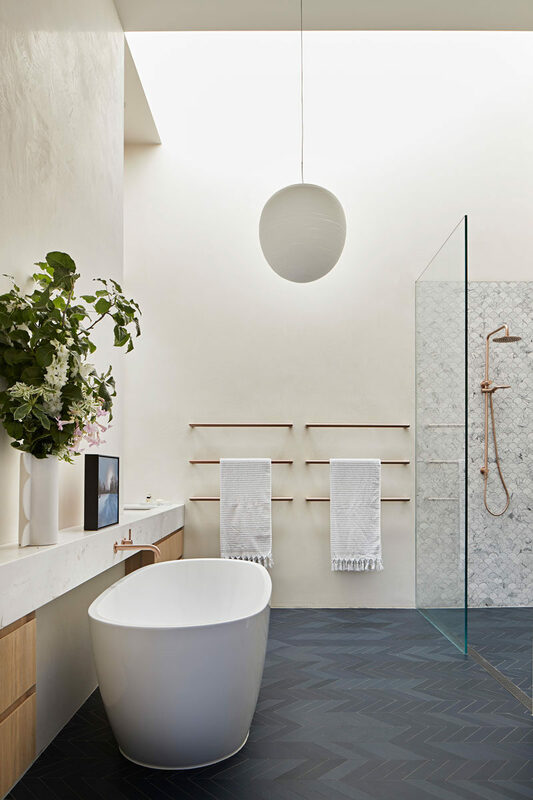 Dark grey chevron patterned floors contrast the white walls, while a freestanding bathtub sits opposite the shower.